If you are used to eating Chicken Tikka/Chicken Tandoori/Butter Chicken at an Indian Restaurant, you would have realized that it is not exactly cheap. Obviously it is delicious and worth every penny spent however if it is easy to make plus way cheaper to aseemble on your own, it makes sense to prepare your own right? Please agree with me else I would have sounded cheap. By the way, Valentine’s Day is coming up and I am thinking of baking some VD’s theme bakes. Imagine heart shaped pretzels? Or even pretty petit fours top with dried edible rose buds. I have a lot of ideas going on in my head. Whether it is going to materialize or remain a dream, only time will tell. Alright, focus focus. 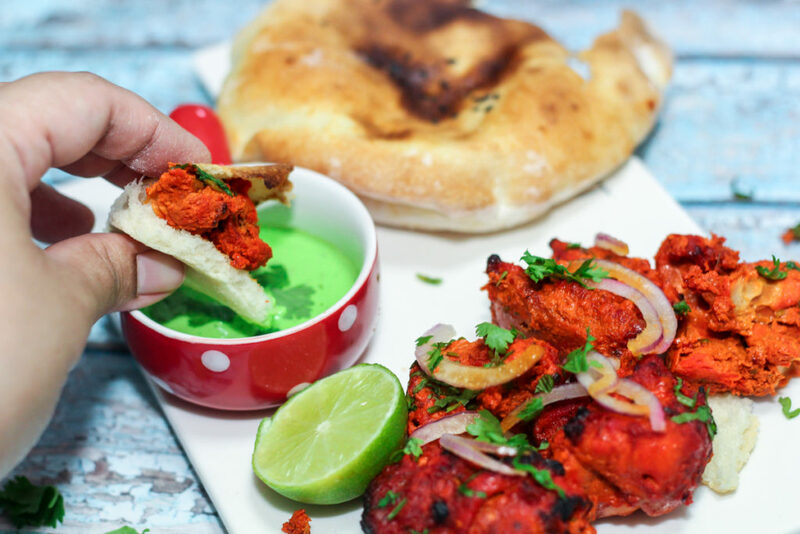 We need to talk about this Chicken Tikka. 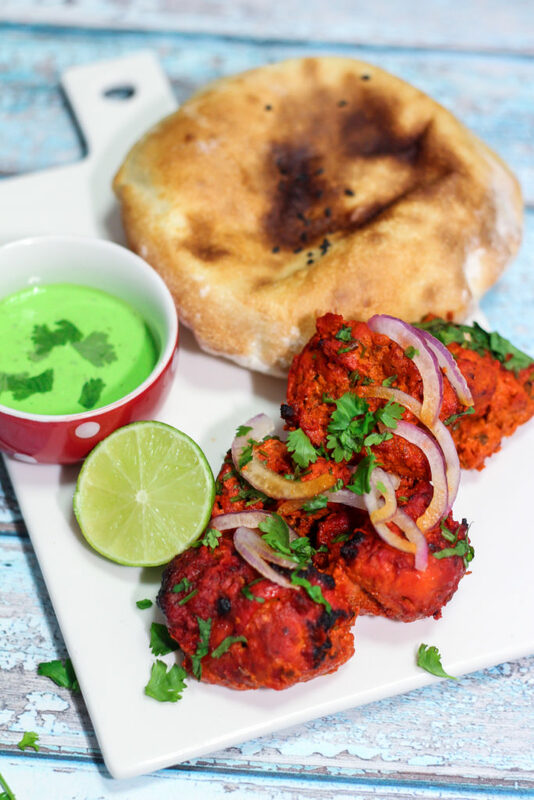 So, Chicken Tikka originates from India and it is widely popular all over the world. It is basically pieces of boneless chicken meat that is marinated in yogurt and spices. Do use chicken thighs instead of breasts for juicy and succulent Chicken Tikka. If you somehow still prefer to use chicken breasts, do marinate them overnight so that the yogurt can tenderize them. Chicken Tikka is basically orange in color. Yes, food coloring is used in this recipe. 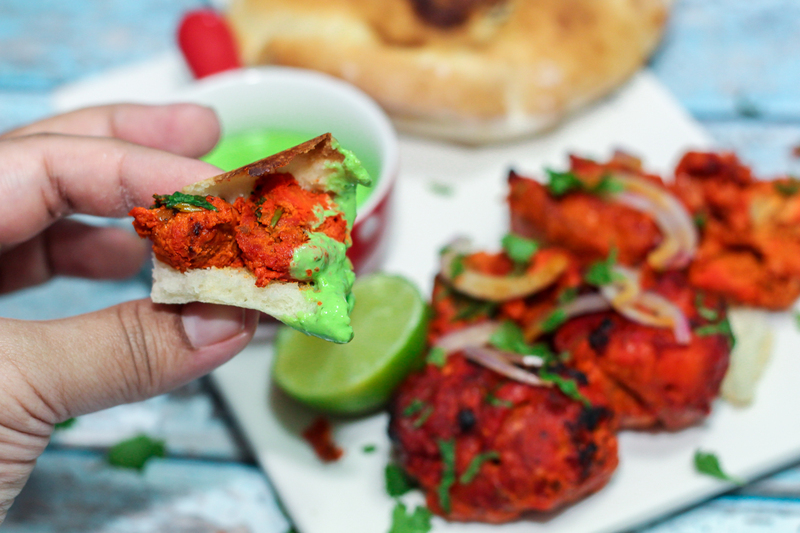 You can choose to omit the food coloring but I personally used a tiny bit as I feel the coloring gives this the characteristic of a Chicken Tikka. 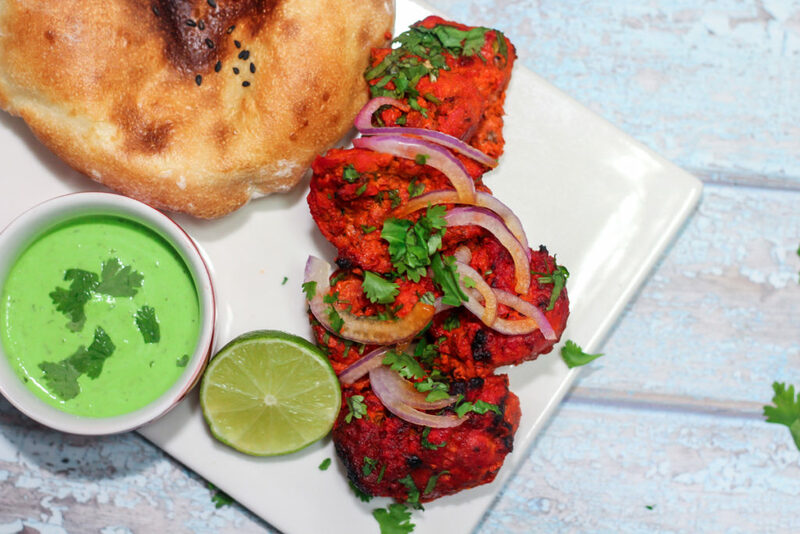 This Chicken Tikka Recipe is not only easy to prepare, but it is also healthy and is always a crowd pleaser. Obviously it is best over the BBQ, but if you are not able to grill it over one, just grill it in the oven or on a skillet, over the stove-top. It makes a good meal prep too. You can marinate the chicken and stash it in the freezer till the time you need it. 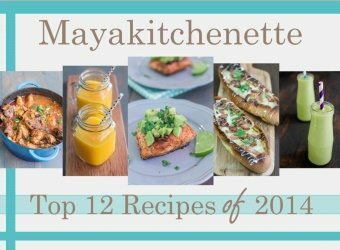 You can make your own masala from the scratch (recipe included in notes) or you can just use store bought for convenience. There are some good brands out there and my personal favoruite is “Shan“. Even if we are using store bought masala, we would still be adding fresh ingredients like ginger, garlic, mint leaves…etc. So basically, we will make it our own. Add the ginger, garlic, green chili, mint leaves and yogurt in a blender and process till smooth. In a bowl, combine chicken, masala, blended ingredients, coloring and lemon juice. Marinate for a few hours or even overnight. Cook under the grill for about 15-20 minutes. Baste with butter/ghee and cook till it is slightly charred around the edges. Serve warm with rice or roti with some mint chutney or salad. To make your own Tikka Masala.